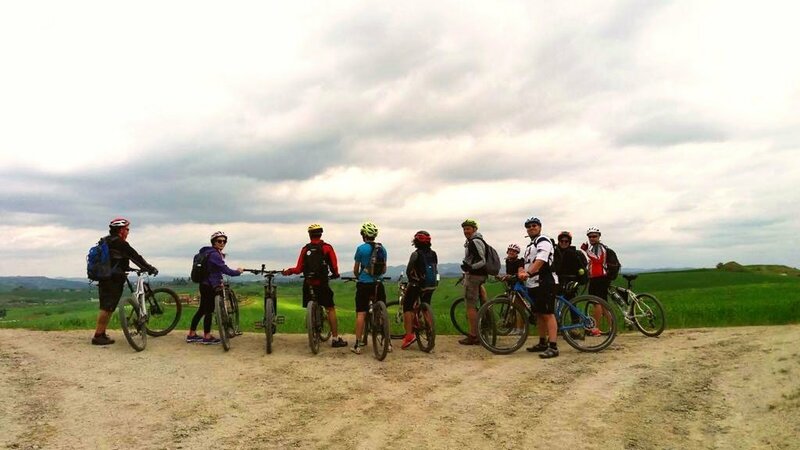 Easy and panoramic mountain bike itinerary in one of the most characteristic and authentic landscapes of Tuscany, the Crete Senesi. Covering secondary routes, un-paved and asphalted at times, and paths, it ‘ll be possible to discover today the ancient origins of this territory. We will cross the typical clay formations, gullies and “biancane“, historical villages, castles and farmsteads…witnesses of a landscape moulded in time. For the photographic contributions Kilometro Inverso would like to thank Giovanni Cappelli and Elisabetta Giuliani. Once you book the excursion you will receive further details of the necessary equipment. Time and meeting point to be agreed with the Guide. The Guide takes the responsibility from now to modify the itinerary depending on the weather conditions or if the safety of the group is at stake. The inscription fee does NOT include the Mountain Bike rental. A full day tour is also available with or without wine and food tasting. Please mail us for any further information. Our Itineraries have been designed by certified Environmental Hiking Guides that will guide and assist you during the whole journey and that with pleasure will answer your questions. The length of an itinerary is calculated on maps and GPS techniques. The measure is always stated in kilometres (km). States the physical conditions required to join an itinerary and is based on an evaluation of the physical effort and endurance. States also the hiking experience needed to take on the itinerary. Begginner: you want to walk and ride a bike, meet the nature and enjoy easy itineraries that combine culture and leisure. The itinerary does not require an intense physical effort. Expert: you have gained security hiking and biking, you are familiar with nature and you are prepared to experiment more challenging itineraries. The itinerary requires a good physical preparation and resistance to fatigue. Sherpa: you have security and hiking techniques even in challenging situations and want to experience adrenaline. The itinerary requires the ability to confront any type of route; you are used to physical effort and can manage different types of grounds and have a technical knowledge of the environment. 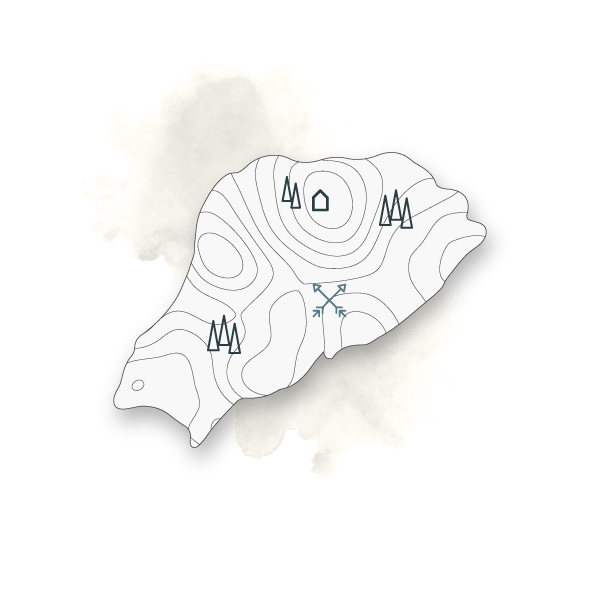 Easy: itineraries on paths with regular grounds and no obstacles; normally close to towns, tourist attractions and historical routes. Length up to 10km and difference in altitude of maximum 300 meters uphill. Medium: the itineraries are principally on dirt roads and easy trails with possible single-track moments, even with some obstacles that can be passed walking. Length between 20km and 40km with a difference of altitude uphill between 300m and 700m. Difficult: the itineraries are mainly on steep trails, sometimes on complex grounds and difficult paths. Single track both downhill and uphill even with some obstacles on the way. Length over 40km with a difference of altitude uphill greater than 700m. Easy: the itinerary is mainly on dirt roads that are easy to ride and do not present any difficulties or are technically challenging or dangerous. The routes may be up to 20km and the maximum difference of altitude uphill is of 300m. The positive difference in altitude represents the total sum of the climbs along the itinerary and it is always calculated with the use of maps and GPS devices. The measure is always expressed in meters (m). By using this form you accept the storage and management of your data from this website- Your data will NEVER be given to anyone.